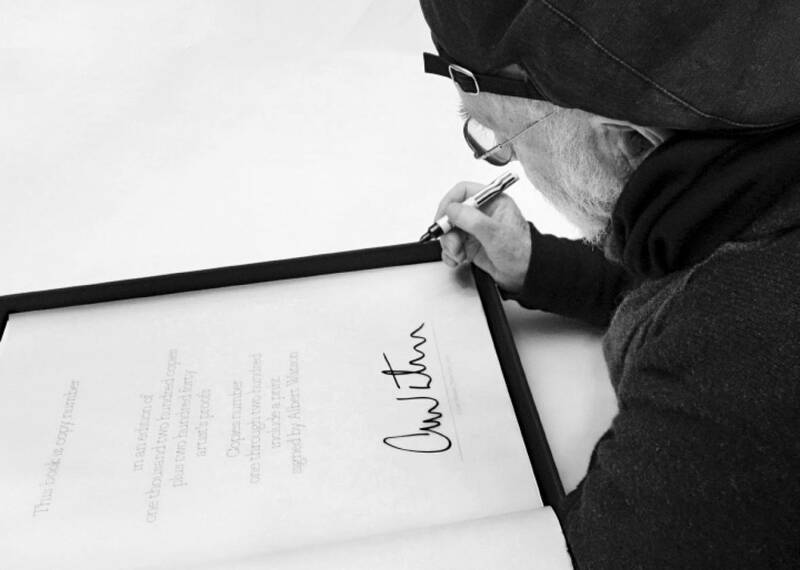 Albert Watson sat down to hand sign the 1,200 copies of his SUMO. 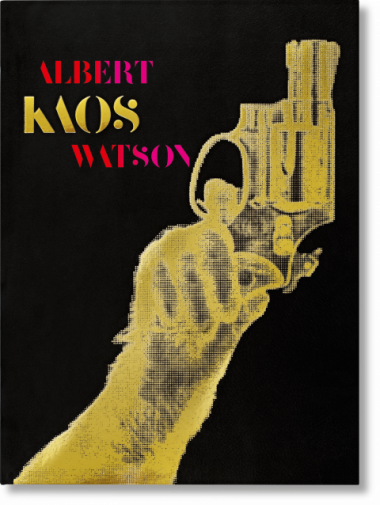 KAOS celebrates the “photographer’s photographer” in a kaleidoscopic overview of Watson’s entire career, curating hundreds of images that reverberate with all the tightly coiled power, cinematic allure, and poetry the artist has captured over the years. With celebrity portraiture spanning from David Bowie and Jay Z to Michael Jackson and Steve Jobs, extensive quotes from Watson, and dozens of previously unpublished test Polaroids, this is the defining document of one of the world’s most revered photographers. Limited to a total of 1,200 numbered copies signed by Albert Watson, this book is available as a Collector’s Edition (No. 201–1,200) and as four Art Editions of 50 copies (No. 1–200), each with a signed archival print reproduced by Watson in his studio.